For centuries, Australian South Sea pearls have been prized as the most desirable and most valuable of all pearls. Renowned for their 'orient', it is this combination of transparent lustre and unique play of colours that makes these pearls so unique. As a general rule, the most beautiful pearls come from the molluscs with the most beautiful shells. The Australian South Sea pearl oyster (Pinctada maxima) is the largest and rarest of all pearl oysters, and produces the finest and most beautiful pearl nacre of any mollusc. Divers collect the wild oysters by hand in the pristine waters off north-west Australia. They are then taken to pearl farms, where they are nurtured in the hope that they will produce a gem quality pearl. Not every oyster will produce a pearl, and apart from rare exceptions, most will produce only one pearl at a time. The shell itself is highly valued for its lustrous mother-of-pearl that is used for jewellery, fine quality buttons, and inlay. Australia’s pristine oceanic conditions are acknowledged as the source of the world’s finest and largest pearls. Today, Australian South Sea pearls with high transparency and colour overtone (known as 'orient') are produced exclusively in Australia. This unique play of surface colours occurs naturally only in pearls with fine quality nacre. Pearls from other regions can be subjected to chemical and heat treatment to replicate the effect. Wild Pinctada maxima oysters are only found in commercial quantities in an isolated region of north-west Australia. Untouched by pollution, these oyster beds are protected by strict diving quotas enforced by the Australian Government. Pinctada maxima oysters are rare and solitary creatures that thrive only in waters rich with microscopic plankton. They are particularly sensitive to changes in environmental conditions, making them extremely difficult to cultivate. The Australian South Sea pearl is unrivalled in rarity, quality, nacre thickness, natural lustre, size, and value. It is the combination of these features that make Australian South Sea pearls so unique. Australian South Sea pearls are known for their extraordinary beauty - difficult to define but immediately apparent. Today, Australia produces the majority of South Sea pearls with the natural transparency and colour overtone known as 'orient'. The terms 'lustre' and 'orient' describe the appearance of light reflecting from deep within the perfect layers of pearl nacre. Consisting of thousands of layers, the quality and thickness of the nacre of fine quality Australian South Sea pearls gives them a natural beauty that will last for generations. Due to their rarity, natural pearls often command higher prices than cultured pearls, but the factors used to assess quality and value are the same for both. Discover the time honoured methods traditionally used to assess the value of pearls through our interactive Five Virtues tool. The magic of a pearl lies in its lustre. Though difficult to illustrate, lustre is the most important characteristic of pearl quality that is instantly recognisable. Lustre refers to the behaviour of light interacting with the countless layers of pearl nacre. Nacre is the pearlescent organic material produced by the oyster that forms the body of the pearl. Fine quality pearl nacre results when an oyster lays pearl nacre tiles in perfect symmetry allowing light to refract uninterrupted through the layers of the pearl. This gives the appearance of a soft iridescent glow from deep within. Natural lustre is everlasting and should not be confused with the superficial shine of treated pearls that diminishes over time. Pearls of exceptionally high quality exhibit a phenomenon known as orient; a combination of translucence overlaid with a subtle play of colour on the pearl's surface. A pearl's shape does not affect its quality; the demand for a particular shape, however, does have a bearing on value. Pearls of perfect symmetry such as round and tear-drop shapes are particularly rare and desirable. Ultimately, beauty lies in the eye of the beholder and selection of shape is a personal choice. A circled pearl features one or more grooved rings around the pearl and can be found in a multitude of different shapes. 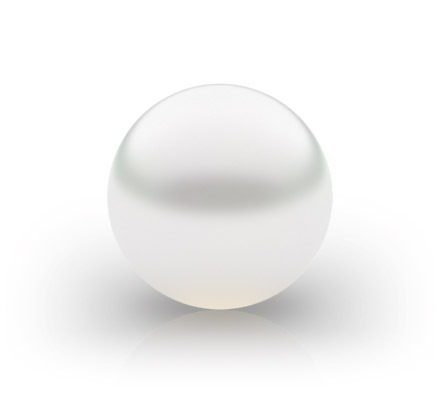 This distinct characteristic gives circle pearls an appealing individuality. A keshi pearl is a cultured pearl without a solid nucleus. Keshi is a Japanese word that literally means "poppy seed" and is used to describe small pearls. These rare pearls are highly sought-after due to their beautiful, intense lustre and unique freeform shapes. Keshi pearls generally range in size from 2mm to 8mm but are sometimes found in larger sizes. The wide array of natural colours of Australian South Sea pearls typically mirror the overtones of the pearl shell. 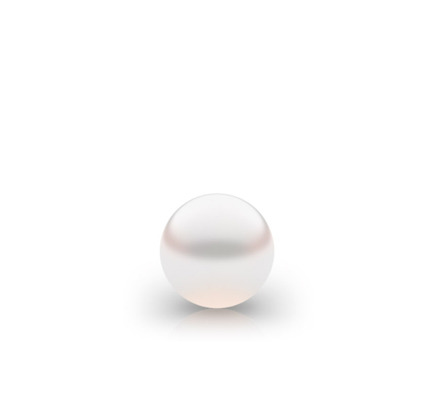 Colour, like shape, is a very personal choice and the popularity of a particular hue influences a pearl's value.  Australian South Sea pearls are typically white, silver, cream or gold. White with pink overtones is the most prized colour. Australian South Sea pearls have very thick pearl nacre and are the largest of all pearls, typically ranging from 11mm to 16mm. Larger sizes exceeding 20mm are occasionally found and such pearls are highly prized. Larger pearls are typically more valuable due to their greater rarity but size is only one of the 5 Virtues used to consider a pearl's value. Pearls are measured in millimetres by width. Australian South Sea pearls are cultured through a respectful partnership with nature. The industry operates under the Pearling Code of Practice, which ensures minimal disruption to the natural environment. The pristine environment in which the Pinctada maxima is farmed from. Stretching from the Cobourg Peninsula north-east of Darwin to Dampier in Western Australia, Australia's remote pearl farm locations have been carefully chosen for their pristine environments, untouched by pollution. These locations provide optimal conditions for the Pinctada maxima to produce the world’s finest pearls. Many of the farms are located in or adjacent to national parks, marine parks and Aboriginal lands. The pearling industry surpasses the requirements of the Ecologically Sustainable Development requirements of Australia’s Environment Protection and Biodiversity Conservation Act (1999). As a result of Australia's good quota system and the good fortune of an isolated and pristine environment, Australia now has the world's last significant beds of wild South Sea pearl oysters. Due to these strong conservation measures, Australia's pearl beds are healthier than they have been for more than a century. It is not by mere luck that natural pearls of the highest quality are still discovered today. It is also due to careful management of wild oyster stocks and respect for their natural environment. This environmental responsibility has always been integral to Australia's pearling practices. After a two-year assessment by the Marine Stewardship Council (MSC), the Australian pearling industry has been independently certified to MSC’s standard for environmental and sustainability management. The MSC is the world’s leading non-profit organisation dedicated to sustainable and environmentally responsible use of wild marine resources. The certification is a world first for the pearling industry. A rare delicacy sourced from the pristine waters off Northern Australia, Pearl Meat is the adductor muscle of the Pinctada maxima oyster – the same species that produces Paspaley’s rare Australian South Sea pearls. Silver Lip pearl oyster meat is handpicked from the Kimberley Australia, one of the most remote places on the planet. Pearl Meat is MSC certified, recognising the delicacy as a wild caught, sustainable seafood which can be traced to an environmentally sustainable source. At the end of the oyster’s pearl producing lives, the edible part of the oyster – Pearl Meat – is simply rinsed in saltwater and frozen. In recent years, Pearl Meat has been adopted by some of the world’s leading western chefs as an exclusive, rare ingredient, with a mere six tons sourced annually. A translucent, scallop-sized medallion, Pearl Meat is sweet and firm – yet tender. Described as a cross between calamari and lobster in taste, the flavour profile varies significantly depending on preparation. Prized as a delicacy in Asia for centuries and highly regarded for its medicinal properties, Pearl Meat is an excellent source of Omega 3. It is low in salt, high in protein and contains no trans-fats. It also contains vitamins A and E, as well as calcium, iron, and zinc. An additional nutritional benefit is the presence of the trace element iodine which boosts metabolism and energy and increases thyroid function.